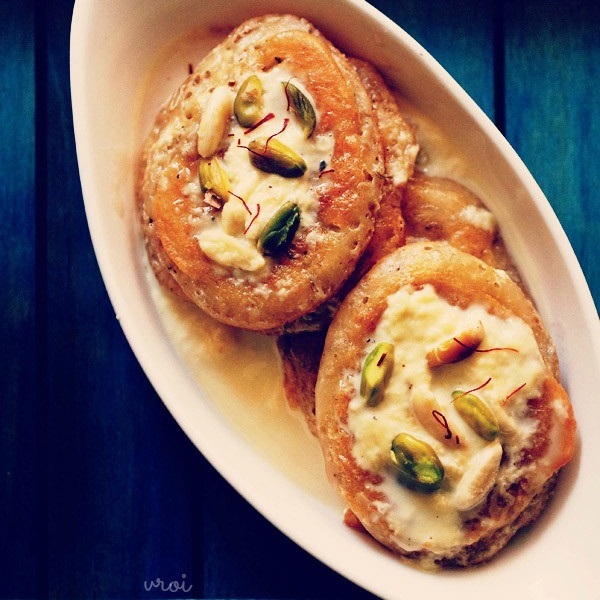 fluffy malpua recipe with rabri. 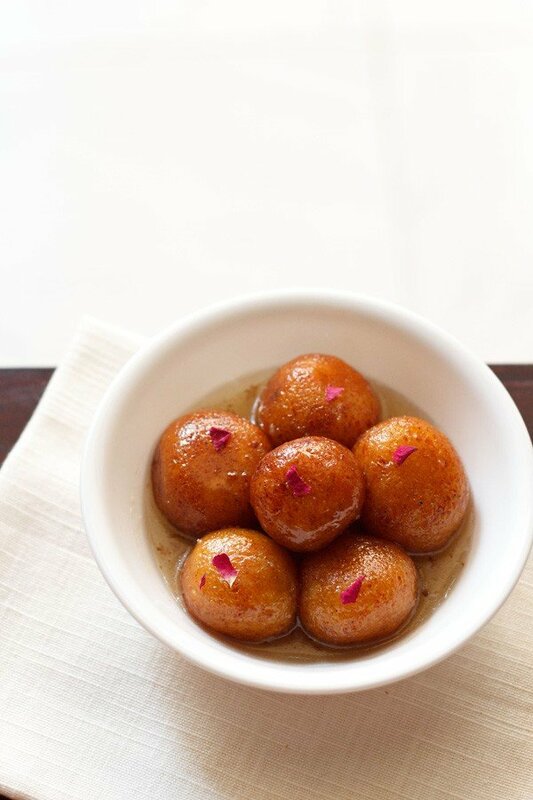 malpua is a popular indian sweet of fried fluffy pancakes dipped in sugar syrup and served with rabdi or sweetened thickened milk. 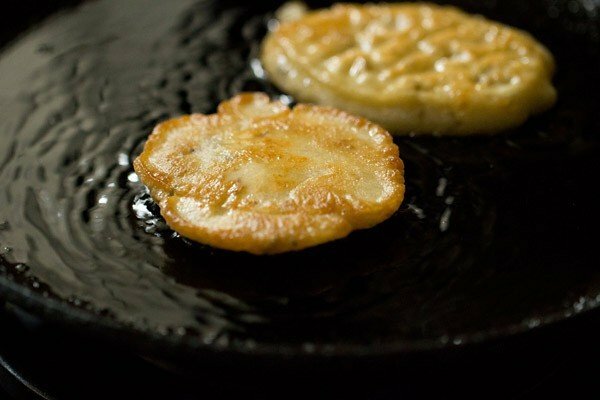 malpua recipe with step by step photos. 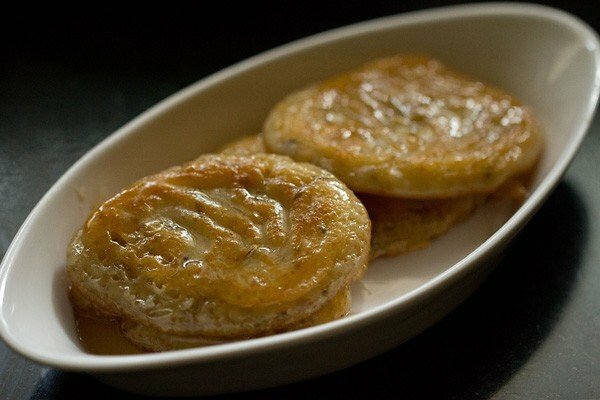 malpua is a traditional north indian sweet of soft, fluffy and yet crisp pancakes coated with sugar syrup and served with rabri or thickened sweetened milk. so this recipe is indeed a fluffy version of malpua. the inner texture is fluffy and the outside edges are crisp. i have stayed true to the way this recipe is traditionally made except for the deep frying and allowing the batter to ferment overnight. so this is an instant version. well no so instant too as i did keep the batter to rest for some minutes. 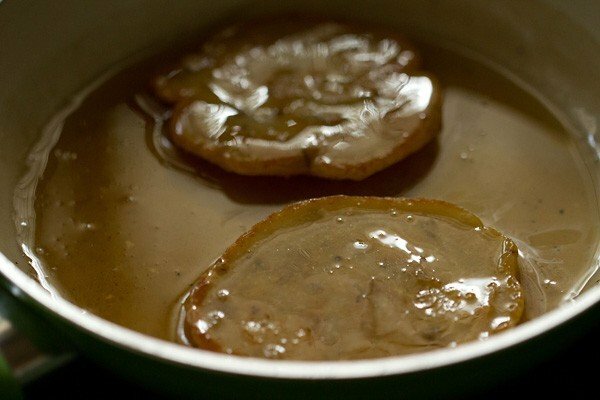 ghee is traditionally used for frying malpura and they are also deep fried. i did use ghee for frying but shallow fried the malpua instead of deep frying. malpua have to be served hot or warm. if you serve them at room temperature or chill them, then the malpua become chewy. but if you like chewy texture, you can serve them chilled. serving malpua with rabri is optional. you can just serve these pancakes coated with the sugar syrup. however many people are fond of the malpua rabdi combo. 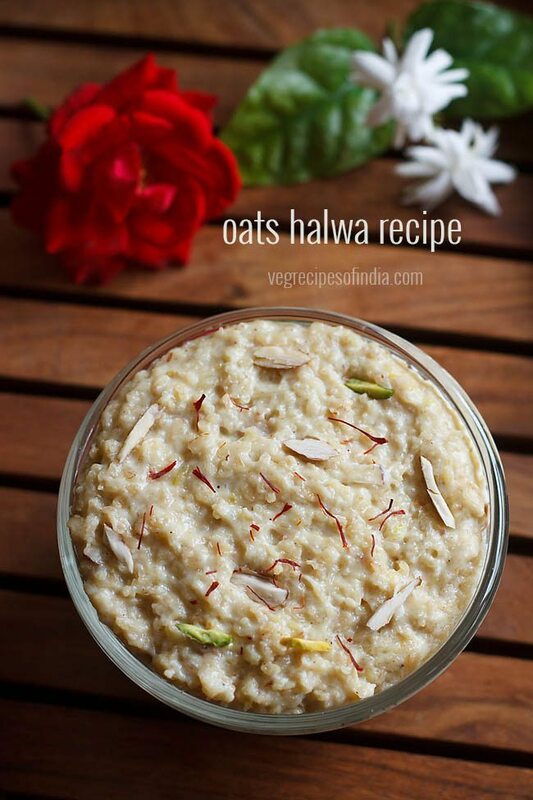 if you plan to make rabri, then you can make it before you prepare the malpua or a day before. refrigerate the rabri if you have made it a day before. in the step by step i have not included the rabri recipe. here you can check the step by step recipe on how to make rabri. in the recipe details right below the pics, i have included the method of making rabri. in a mixing bowl take 1 cup all-purpose flour, 1 tsp fennel seeds, 3 to 4 cardamoms, crushed or 1/3 tsp cardamom powder. mix the dry ingredients well. add 3 tbsp khoya and 3 tbsp curd/yogurt. please use fresh yogurt. instead of khoya you can also use milk powder. 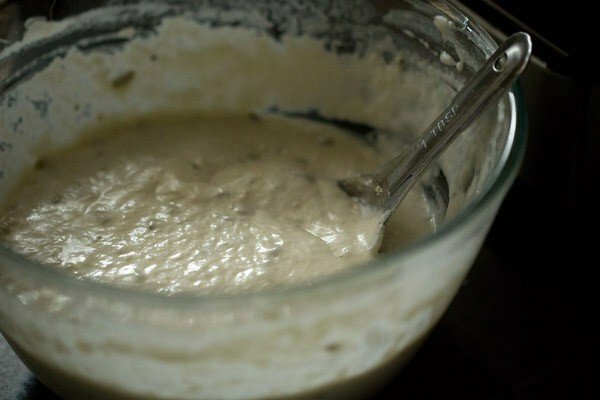 add 1/2 cup water and begin to stir to a thick flowing batter without lumps. meanwhile when the batter is resting blanch the almonds and pistachios in hot water. keep them soaked in hot water for 20 to 30 minutes. then peel and slice them. keep aside. also heat 1/2 cup sugar and 1/4 cup water. on a low flame simmer this mixture. also stir well so that the sugar melts. you need to have a 1/2 inch string or 1 string consistency in the sugar syrup. if you cannot achieve these string consistencies than just make a sticky syrup. the sugar needs to be kept warm. for this keep the sugar syrup on a hot water bath so that it stays warm throughout and does not crystallize. meaning keep the sugar syrup pan on a bowl or another pan filled with hot water. the hot water should touch the base of the pan containing the sugar syrup. 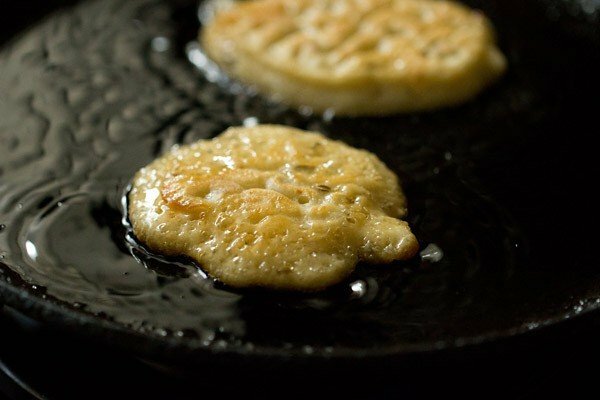 heat ghee in a pan or griddle. when the ghee is heating up add 3 pinches soda or 1/8 tsp baking soda to the malpua batter. lower the flame. 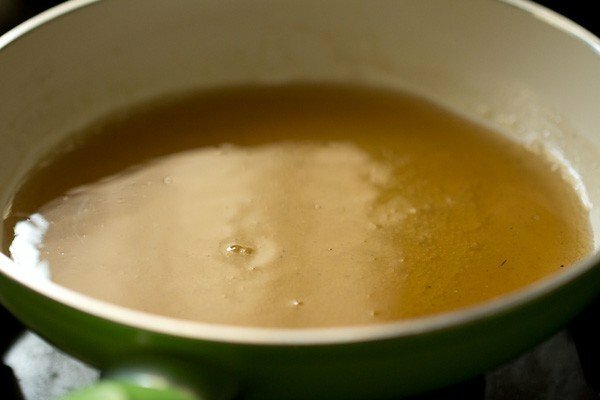 take 2 tbsp to 3 tbsp of the batter and gently pour it on the hot ghee. spread the batter lightly with the back of the spoon. make 2 to 4 malpua depending on the size of the pan. fry on a low to medium till crisp and golden flipping the malpua a couple of times. drain malpua on paper towels to remove excess oil. then immediately place them in the warm sugar syrup. gently coat the malpua with the sugar syrup with a spoon or small tongs. immediately remove them and place them in a serving tray or plate. prepare all malpua this way and coat them with the sugar syrup. pour some rabri on top. 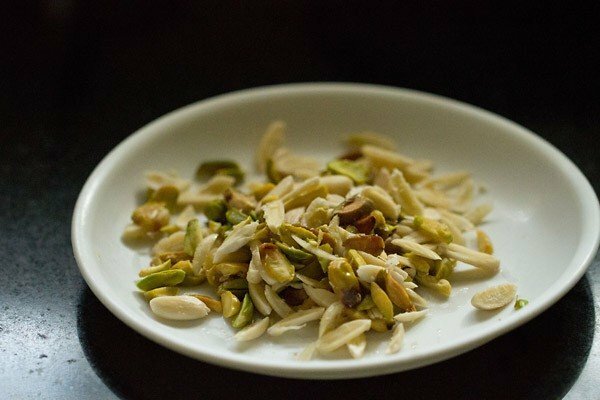 garnish with the chopped almonds and pistachios. 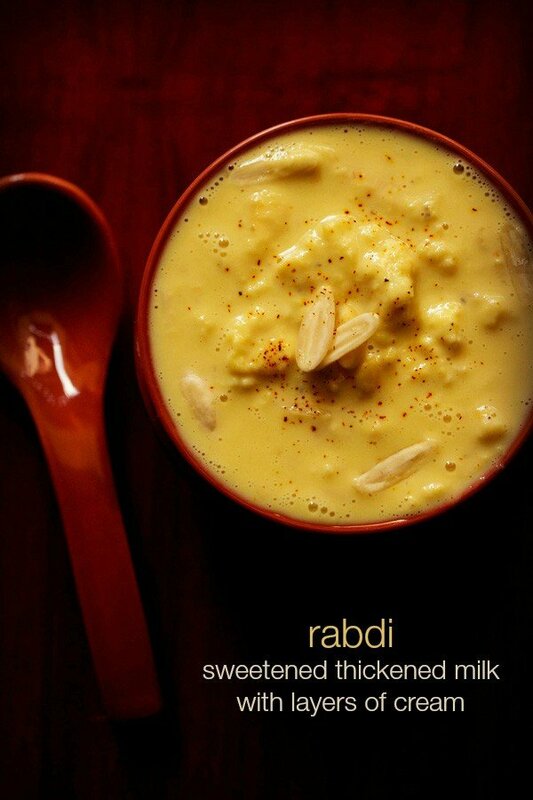 serve the malpua with rabdi hot. you can also just serve the malpuas coated with the sugar syrup and garnished with the dry fruits. in a broad thick bottomed pan or sauce pan or a kadai take 1.25 litres of full fat whole milk and bring it first to boil. lower the flame and continue to simmer the milk. stir at intervals. 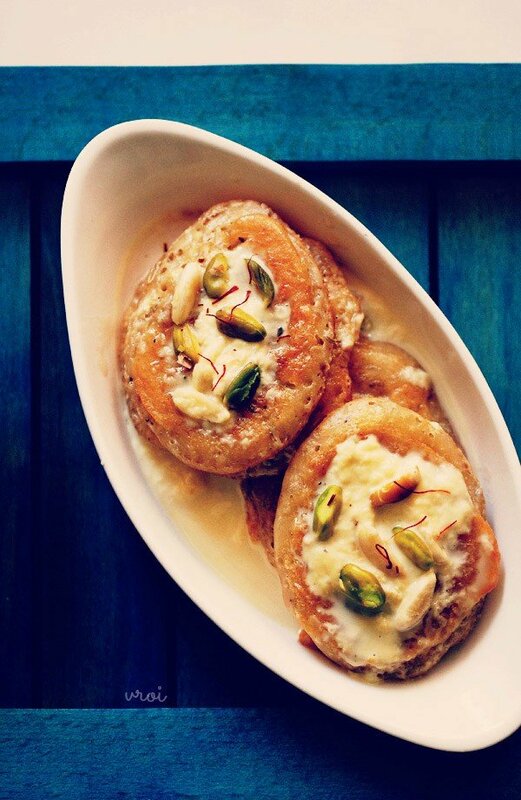 bring the clotted cream/malai which forms on top of the milk to the sides of the pan. also keep on scraping the dried milk from the sides and add them back to the milk. do stir and scrape often so that the milk does not get browned or burnt from the bottom as well as the sides. keep on simmering, stirring, removing the clotted cream and scraping. switch off when the milk has reduced and become thickened. add sugar. stir well so that the sugar dissolves. next add crushed saffron or saffron powder along with kewra water (pandanus water) or rose water. add the sliced almonds and pistachios. it will take about 1 hour for the milk to thicken on a low flame. 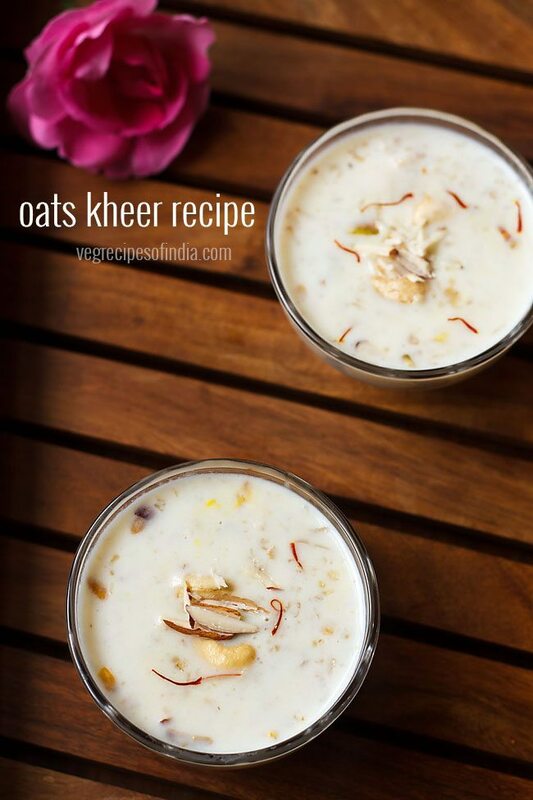 remove the rabri in a bowl and serve it later with the malpua. refrigerate if not using it immediately. 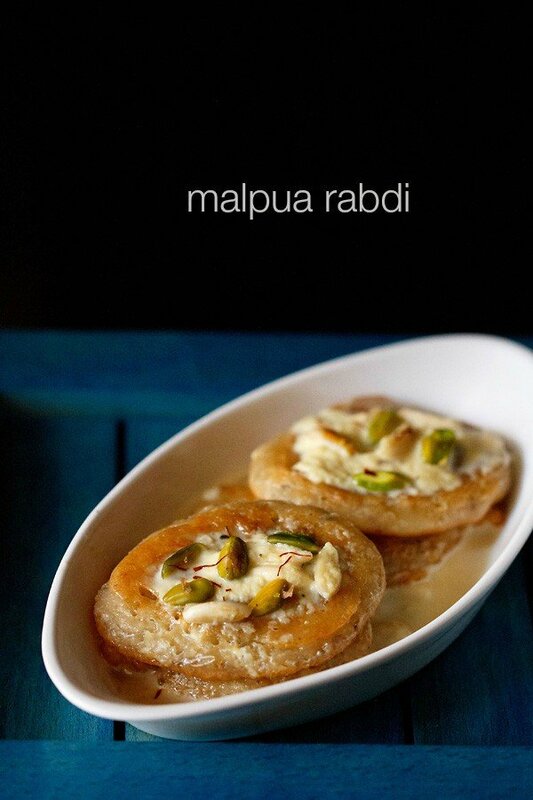 the combo of malpua rabdi taste good and is liked by many people. its best and recommended to have malpua rabdi hot. 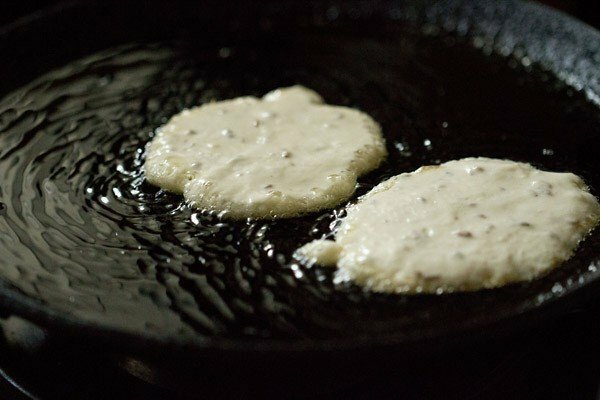 for a low fat version, you can also cook the malpua like pancakes by just adding a bit of oil or ghee. sugar can be added to the batter and you can make sweet malpua. this way you don't need to make sugar syrup or rabdi. whole wheat flour can be substituted. 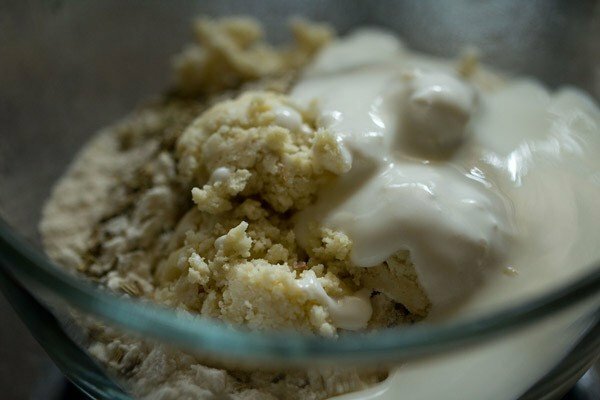 you need to add some more water if using whole wheat flour. please seive the whole wheat flour before making the batter. 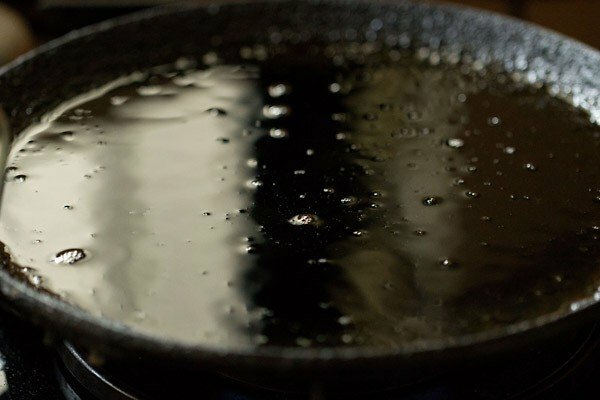 you can also fry the malpua in oil instead of ghee. if you are not in a hurry, then allow the malpua batter to ferment for 6 to 7 hours. 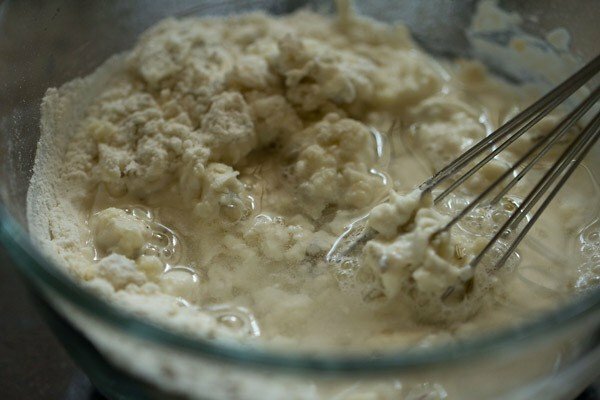 if you ferment the batter then you don't need to add baking soda. fruits like mashed bananas or applesauce or mango pulp can also be added to the batter. 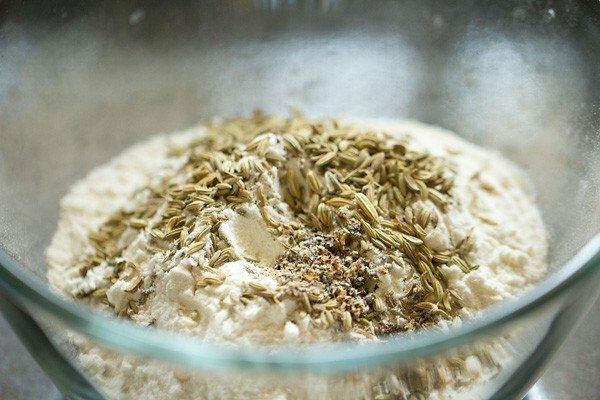 1. in a mixing bowl take 1 cup all purpose flour (maida), 1 tsp fennel seeds (saunf), 3 to 4 cardamoms, crushed or ⅓ tsp cardamom powder. mix the dry ingredients well. 2. add 3 tbsp grated khoya and 3 tbsp curd/yogurt. please use fresh yogurt. instead of khoya/mawa you can also use whole milk powder. 3. add ½ cup water. 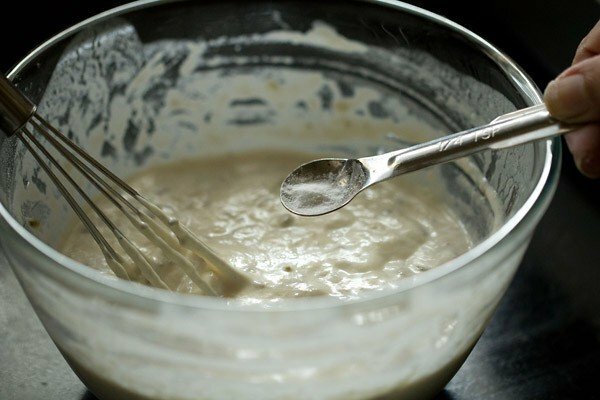 5. stir to a thick flowing batter without any lumps. cover and allow the batter to rest for 30 to 40 minutes. 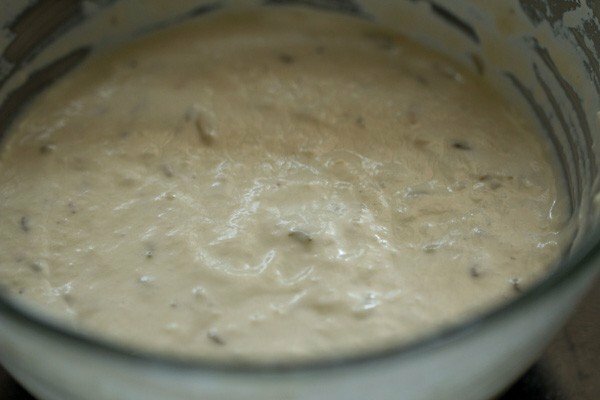 you can even keep the batter for about 2 hours at room temperature. 6. the below pic shows the consistency of the malpua batter. 7. meanwhile when the batter is resting, blanch the almonds and pistachios in hot water. keep them soaked in hot water for 20 to 30 minutes. then peel. 8. slice them and keep aside. 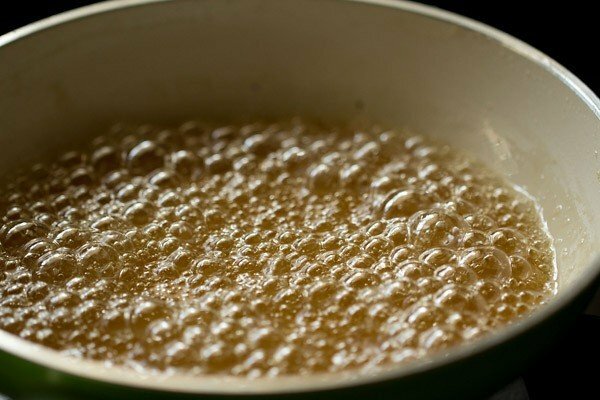 9. just before you begin to fry the malpua, prepare the sugar syrup. heat ½ cup sugar and ¼ cup water. here i have used cane sugar and hence this golden color. 10. on a low flame simmer this mixture. also stir well so that the sugar melts. 11. you need to have a ½ string or 1 string consistency in the sugar syrup. if you cannot achieve these string consistencies than just make a sticky syrup. the sugar syrup must be kept warm. for this keep the sugar syrup on a hot water bath so that it stays warm throughout and does not crystallize. meaning keep the sugar syrup pan on a bowl or another pan filled with hot water. the hot water should touch the base of the pan containing the sugar syrup. 12. heat 3 tbsp ghee in a pan or griddle. here i am shallow frying the malpua instead of deep-frying them. you can also deep fry. 13. lastly add 3 pinches baking soda or ⅛ tsp baking soda to the malpua batter. 14. mix very well. this is important as you want the baking soda to be mixed evenly. 15. lower the flame. 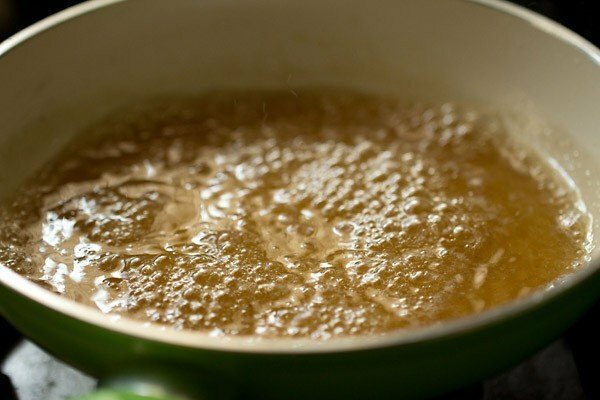 take 2 tbsp to 3 tbsp of the batter and gently pour it on the hot ghee. spread the batter lightly with the back of the spoon. make 2 to 4 malpua depending on the size of the pan. fry on a low to medium flame. 16. when the base become light golden, flip over. 17. flip once more and fry the other side. 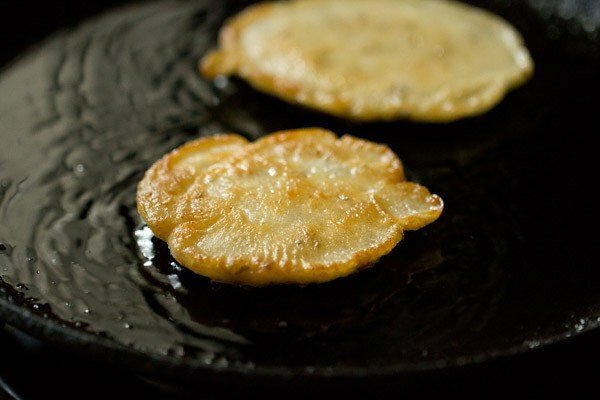 18. flip again and fry till the malpua have a crisp edge and are golden. fry malpua this way and add more ghee if required while frying. 19. drain fried malpua on paper towels to remove excess oil. 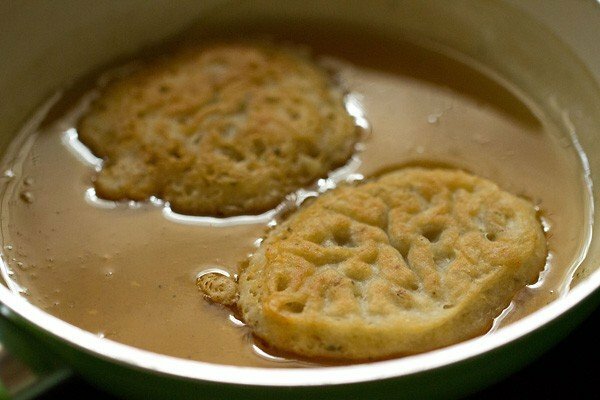 20. then immediately place the fried malpua in the warm sugar syrup. 21. gently coat the malpua with the sugar syrup with the help of a spoon or small tongs. 22. remove the malpua and place them in a serving tray or plate. 23. pour some rabri on top. 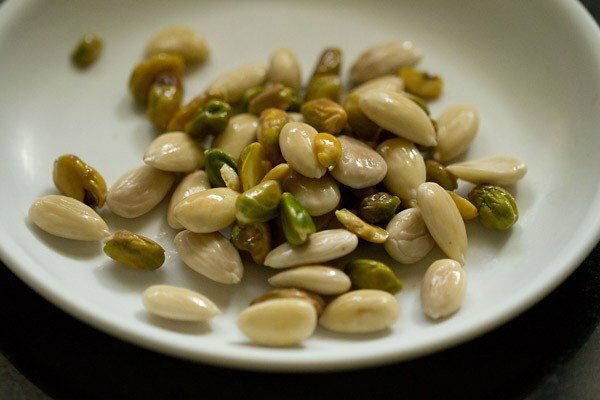 garnish with the chopped almonds, pistachios and crushed saffron. serve malpua rabdi hot. 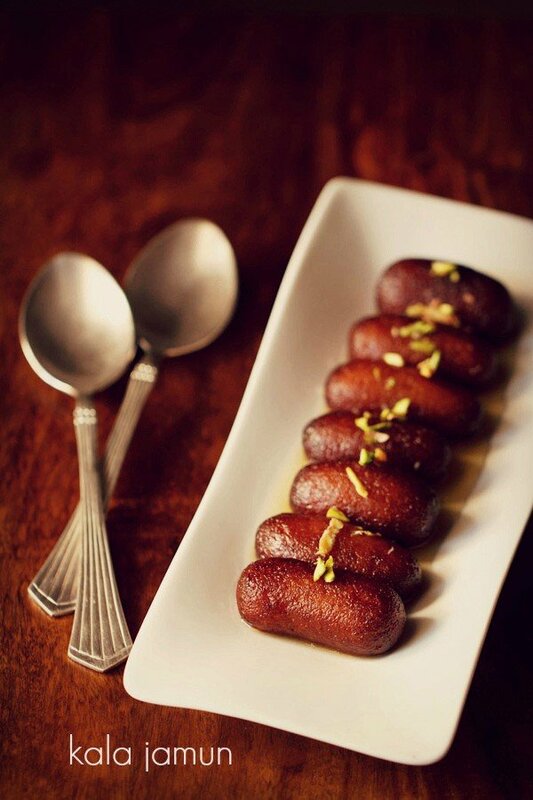 you can also just serve the malpua coated with the sugar syrup and garnished with the dry fruits. prepare all malpura this way and coat them with the sugar syrup. Can i make the malpua a day before & keep in fridge? And day I need to serve the guest, make the sugar syrup in the morning and dip d malpua and keep it out since you say microwaving will make it chewy? But that case I cant serve them hot. Another questions, can I use condensed milk instead of khoya in the batter? If yes, how much quantity will equivalent to 3tbsp khoya? you can make them a day before but refrigerating makes them a bit chewy. what you can do is make the sugar syrup and keep in fridge. make the rabri and keep in fridge. but make the malpuas hot. while serving just lightly warm both sugar syrup and rabri. do not make them hot. another option to make malpuas soft is to add sugar or mashed bananas in the batter and make sweet malpuas. in this scenario, you can skip making sugar syrup entirely. addition of sugar or mashed bananas will make the malpuas soft and you can refrigerate them. yes you can use sweetened condensed milk. for a sweet malpua you can add about 2 tablespoons. for a less sweeter version add 1 tablespoon. but do check the taste of the batter before you fry malpuas and add more condensed milk if required. hope this helps. madam any other option to serve them hot then? welcome ekta. you can slightly warm them on a tawa. actually malpua are best served hot. microwaving can make them chewy. another option is to serve them with hot milk to which some sugar, cardamom powder and chopped fry fruits are added. avoid microwaving, as they might turn chewy. just keep them out. yes you can keep the batter in fridge. 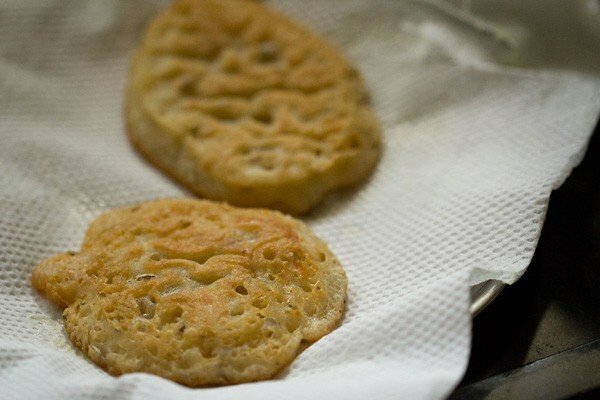 I left the batter overnight and next day I prepared malpua. But I felt a sour taste even with sugar syrup. Is it due to curd? if the batter is fermented, sour taste will be felt. 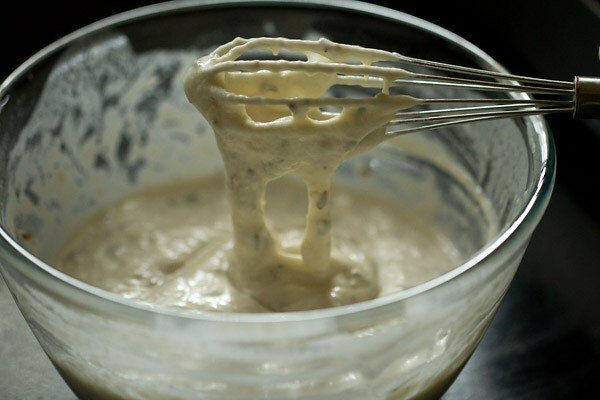 looks like the batter got fermented too much. for a fermented malpua batter, there is some sourness but not too much. Thanks a lot for the lovely recipe but does the pancake version of malpua have outside crunches like that of the fried ones and can i add fried peanuts and grated coconut as well to the batter? welcome madhu. the pancake version won’t have crisp edges. yes you can add fried peanuts and grated coconut to the malpua batter. Why my malpua become tight after chilled..its not fluffy. i have mentioned in the post, that they become chewy. i do not know the scientific reasons, but they do become chewy when refrigerated. Can we omit khoya n substitute with any other or omit it. add milk powder instead of khoya. What can we substitute instead of khoya or can we skip it. you can add milk powder. i have mentioned it in the ingredient list in the recipe card. Whenever I make malpuas with banana added, the centre becomes hard. Any suggestions for that ma’am ☺? hi ananya, malpua with bananas should ideally become soft and not hard. could be there is less moisture in the batter. so you can try adding some more liquids like water or milk. also add a pinch of baking soda and this will also help in giving a soft texture. Hi Dassanna , I made these and came out really well. 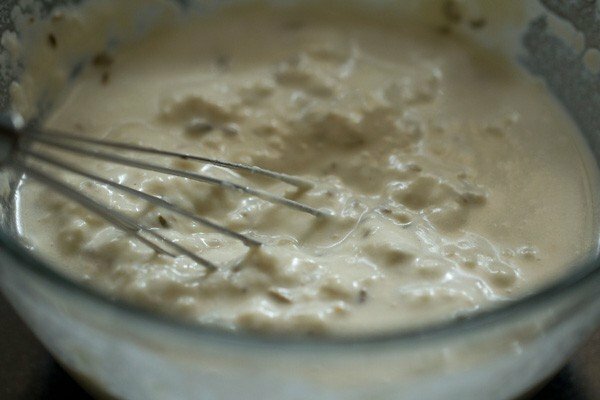 I wanted to know if we can leave the batter overnight in fridge and make malpuas next day ? Will it affect its texture anyways ? Thanks for the awesome recipe . thanks deepti. you can keep the batter overnight in the fridge. there will be a slight change in the texture and taste too. but the overall taste will be good. in case if the batter becomes thick after refrigeration, then you can add a few teaspoons of water also. before frying the malpuas, bring the batter to room temperature. 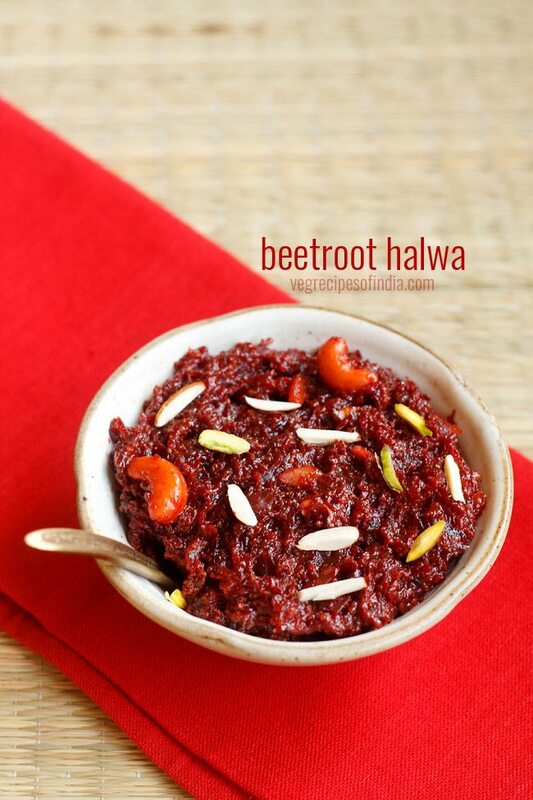 Hi my hubby n my daughter loves malpuas n I was searching in ur site n I was lucky to find the recipe. Thanks a lot for posting recipes with explaination. But I added eno instead of soda as soda is not healthy? thankyou deepa 🙂 glad to know your family liked the malpuas. Hi, this looks a very delicious recipe to me and I am craving to give it a try. I just wanted to know that can I skip using baking soda in batter? My husband doesn’t like the use of soda in cooking so please suggest. yes you can skip baking soda.